15% Off When You Purchase 2 or More Items. Question: How Do Protect Yourself If You Are In An Emergency Situation While Driving and Unable to Communicate and Contact Loved Ones? 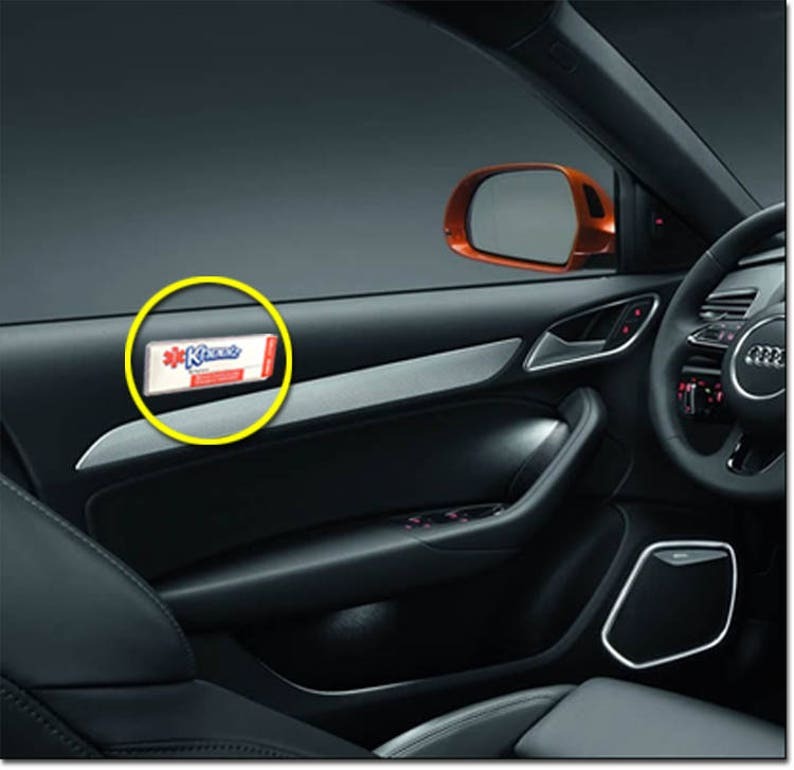 Answer: It's Simple, Drive Around with a Kheelz Automobile ICE (In Case of Emergency) Card & Medical Alert ID! 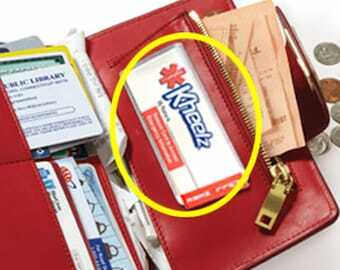 Let your Kheelz Automobile ICE (In Case of Emergency) Card speak for you when you can’t. 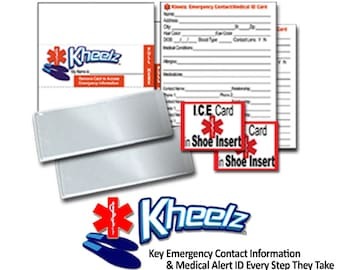 - Simple to use, easily access important medical information and emergency contacts by sliding Kheelz ICE Card from pocket area, open up tri-fold card and just read it. - Printed on special waterproof/tear proof paper. 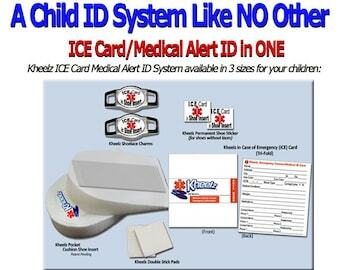 If ICE Cards are wet with snow/rain, simply remove Kheelz ICE Card and dry off with paper towel. 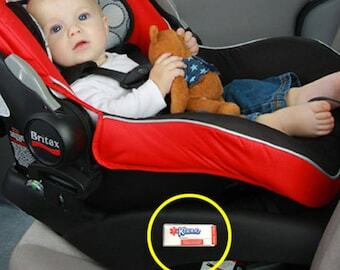 - Very inexpensive way to provide yourself and loved ones with the peace of mind that comes knowing that you will be taken care of and loved ones contacted if you are in an emergency situation while driving. 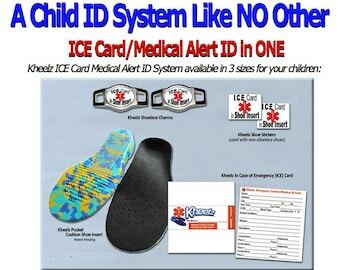 - First Responders are trained to look for Medical Alert ID's. If you have food or drug allergies, or take medications, you've you’ve been diagnosed with a chronic condition, then you should wear a medical ID. If you are a caregiver, you should also use a medical ID to alert emergency personnel of your loved one who needs attention. 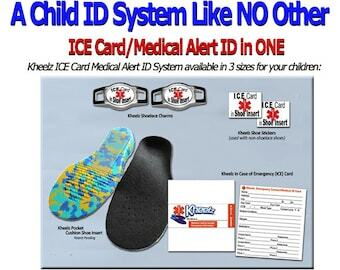 There are common misconceptions that by using an ICE (In Case of Emergency) Card & Medical Alert ID, that you are labeling yourself or bringing unwanted attention to your condition or diagnosis. The truth is that medical identification can be life saving. Please contact me with any questions you may have. Thanks for viewing item! It shipped on time and was as described. I just wish there would have been more room to write.